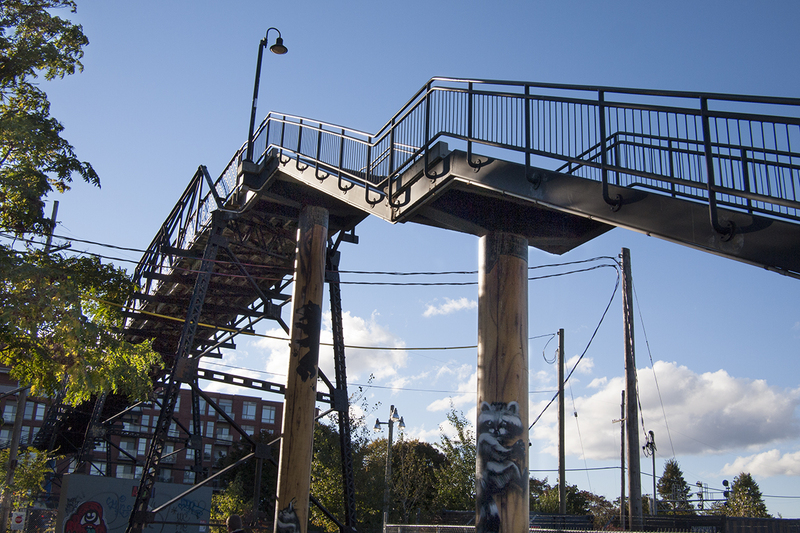 A beautiful steel truss bridge, this historic structure has been connecting pedestrians in west end Toronto since 1907. It has the exuberant feeling of Victorian structures of the industrial revolution, and it’s exciting that it is simply for walking. There is even a track along one side to push your bike smoothly up the steps. It passes over the GO train corridor., which is being expanded for the UnionPearson Express, the new train to the airport. The increased capacity of this rail corridor makes apparent the necessity of the electrification campaign that local MPP Jonah Schein is waging to protect air quality. Location. 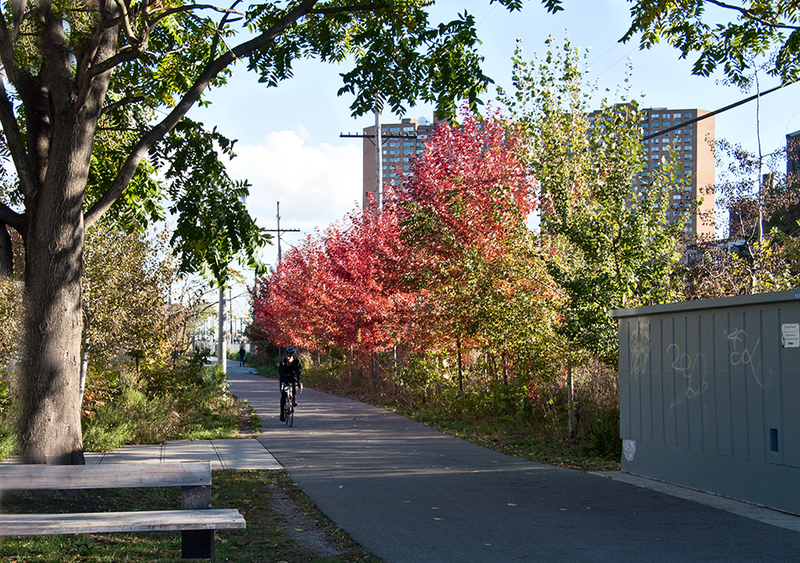 The West Toronto Railpath which also runs underneath it is a car-free route for cyclists and walkers on their way downtown. It’s such a narrow little strip of land, yet so vital and beautiful.